This post will use the term "Paganism" as a shorthand for "any Pagan or Neopagan religious practice, Native Faith practice, and various spiritual paths and practices which are related to witchcraft, magic, nature worship, etc., including atheists who practice any of those for whatever reason." I know not everyone is comfortable with the Pagan label, but I have to use some word, and this one is what scholars use when writing about this. 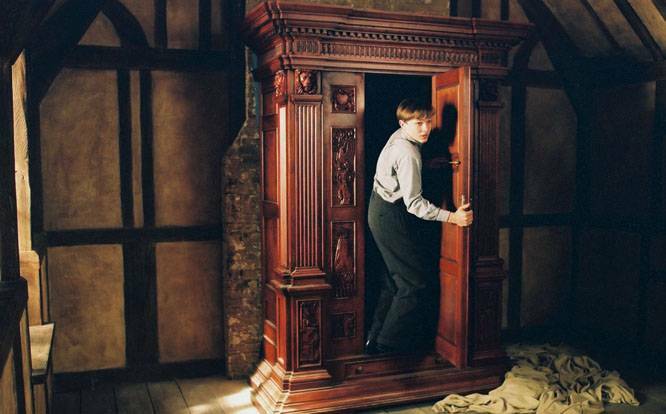 Before you start dealing with being a closeted Pagan, you've got to work out exactly why are you in the Broom Closet, and how. A forty five year old shop owner and a highschooler may both be in the Broom Closet, but their experiences will vary wildly, and so will the experiences of someone living in the American Bible Belt as compared to a New Yorker, as compared to an Eastern European, as compared to a South Asian. No one will ever know your situation as well as you, and so you are the only person really qualified to judge it. Nevertheless, going by the emails I get, the qualified person can sometimes use some pointers. If you find yourself pondering the matter of the Broom Closet, these auxiliary questions can be useful. Why are you in the Broom Closet in the first place, what makes you keep silent about your Pagan path? The answer to this question can sometimes be painful, so let's get the worst things over with first. Do you risk violence? Is the society you live in likely to respond with harm to you or your family if they find out? This is, unfortunately, something that can happen in some parts of the world. There is a question of whether Paganism - and what form of it - is even a legal religion in your country. US-centric publicists often concentrate on the American freedom of religion law, but other countries may see it very differently indeed. Do you risk financial loss? Are you likely to lose your job, or your customers, will Paganism hurt your professional image? This is another frequent cause for Pagans staying in the Broom Closet. In many societies, it is considered abnormal, "crazy," or outright evil, to follow a Pagan path. Pagans can and are seen as gullible, irrational or just plain weird, our spirituality not accepted as a valid choice. Do you risk losing any of your family ties, friendships or acquaintances? This, too, can happen. And not all of us are willing to weather the relationship storm that can come when we come out of the Broom Closet. We'd much rather have calm Sunday dinners and a good relationship with our in-laws, and not have Gran tell us she prays for our salvation. These are the three most drastic, and most common reasons of staying in the Broom Closet. They are not a 0-1 thing, either: depending on a whole spectrum of factors, such as where do we live or what job do we hold, we can incur these risks to a greater or lesser extent. The most important fact to realise here is that these are valid concerns. Even if you're not sure any of this would happen, being afraid of it happening can be reason enough for you to stay in the closet. Realising precisely why are you in the Broom Closet can settle the matter for you quite quickly. If you find yourself being a teacher in an intolerant country that does not recognise Paganism as a valid faith, you can be easily fired because "think of the children" and won't even have the law on your side. In drastic cases like this, coming out is of course not an option, and the way to deal with being in the Broom Closet is to see it as a way of protecting oneself. Minimising the tension that comes from having to stay silent (and possibly lie) in situations like that can be achieved through, for example, keeping in touch with other Pagans online, anonymously. There are various forms that a Broom Closet can take, and the depth to which we've shut ourselves in can vary. Personal circumstances can change this greatly - are you even an adult? Do you have your own money? Again - do you live in a place where Paganism is even legal? This is all pretty obvious, of course, but taking stock of your situation requires you think of the obvious things. Different types of Paganism come with their own different closets. It's one thing to be an American Wiccan, and quite another to be a Norwegian Asatru follower, and still another to have put together your own Kitchen Witchcraft practice. Being part of an officially recognised and publicly known movement may be a reason for you to come out, or on the contrary, may make you want to stay in the closet. You may not want to be associated with the popular perception of your faith, for instance, or with the actions of some group that you don't identify with. This is a common problem, for example, of the Pagan paths that attract white supremacists. You may not want to be seen as one of them. Your "closet depth" may also vary. Your historical interest in a pre-christian cult may be common knowledge, just not your religious devotion to it. You may have a reputation of an atheist that is a bit superstitious, or you may be in an Anglican church every week, waiting for the service to be over. All these things happen to Pagans, and - again - they do not make you less of a one. All this feels rather as if I were encouraging you to stay in the Broom Closet, right? Well, in a way, I am. Or, at least, I am trying to say that it's okay to be in the Broom Closet, it's not wrong, not a sign of cowardice or insufficient devotion to your Path. Take your time, assess your situation. Remember that the rabbit is not going back into the top hat once it's out. * Or, rather, was borrowed from the LGBTQIA community. In many ways, being a closeted Pagan resembles being a closeted sexual minority. The two struggles have similarities, but they should not be conflated.